The New York Yankees are going to bat for a 10-year-old girl who shared a heartbreaking story on social media about years of bullying she’s endured at her Pennsylvania school. The New York Post reports 10-year-old Cassidy Warner posted a video on Facebook detailing the traumatizing stories of bullying she has gone through. 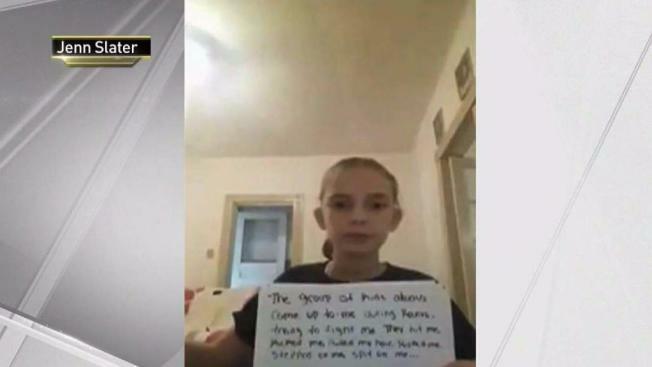 In the video, the Scranton fourth-grader holds up sheets of paper with the harrowing messages of abuse written on them. One sheet detailed how a group of kids came up to her at recess, hitting her, kicking her, pulling her hair, stepping on her and even spitting on her. The video, along with her Facebook page, was taken down by the social media company because she is not 13 and doesn't meet the site's age requirement, according to her mother, Jenn Slater, who reposted the video on her own page. Slater also alleged in her post that her daughter was initially threatened by the school's principal to remove the video before the school district contacted Facebook to report Cassidy's page. Slater pleaded with the Facebook community to share her daughter's story and help her "put a smile back on her face." The video racked up thousands of views and caught the attention of the New York Yankees. The team’s official Twitter account shared Cassidy's video Wednesday along with a video of their own, mimicking the style of hers. The two-and-a-half minute video features 23 Yankees players and manager Aaron Boone holding up written messages of support. "Hey Cassidy - we saw the video you made and from all of us here at the New York Yankees, we want you to know that you are not alone. We have your back!" the team wrote. It begins with starting pitcher CC Sabathia holding up a sign reading "My teammates and I wanted you to know that we care about you." About 45 seconds into the video, first baseman Greg Bird holds up a sign that reads, "We may be older than you. We may be taller than you.” Then relief pitcher Dellin Betances finishes the message saying, “But we want you to know that we look up to you." The video ends with Boone inviting Cassidy to meet the team. Slater thanked the Yankees in a Facebook post, writing that she has "much respect" for the team and their gesture made her cry.